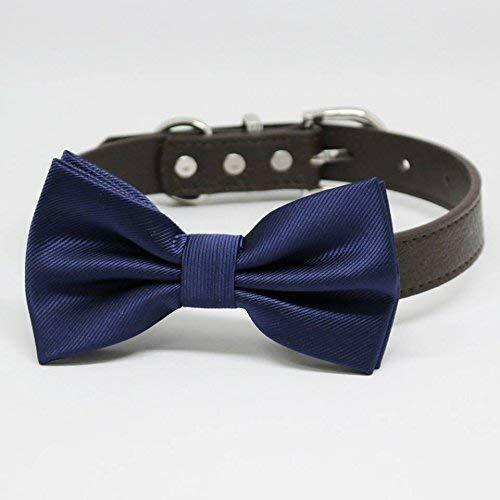 Your pup will dazzle the crowd in this handmade Navy Bow Tie Dog Collar. This beautiful bow tie collar will look great on any size dog. This item has different collar variation to choose from. This dog Bow Tie is perfect for a Navy wedding or proposal. If you have any questions about this product by LADogStore Pet Wedding Accessories, contact us by completing and submitting the form below. If you are looking for a specif part number, please include it with your message.